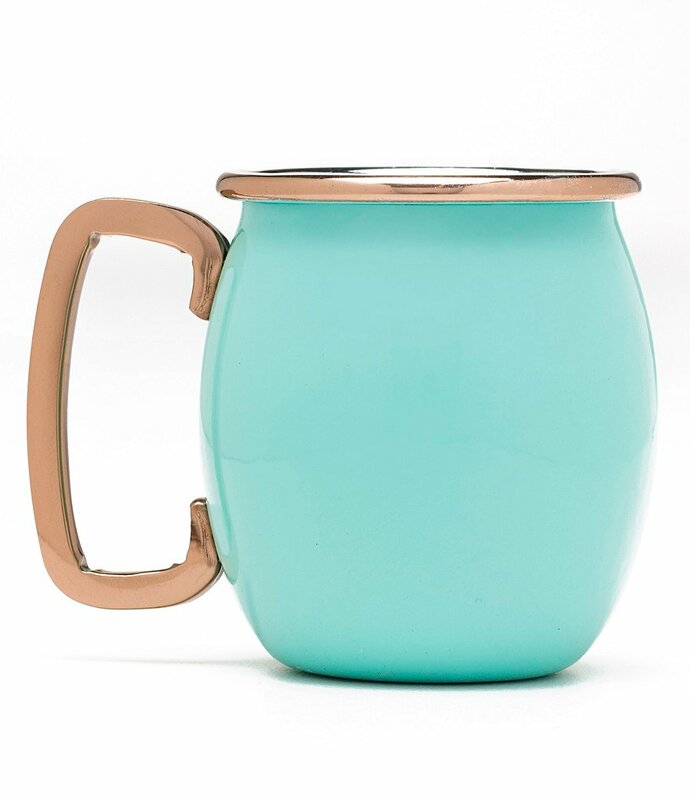 The Fiesta Turquoise Moscow Mule Hammered Mug Set features a glossy turquoise exterior, bright copper-tone handle and lip, and stainless steel interior finish. Approx. 19 oz. capacity. Set of 4. $49.99. Buy here. 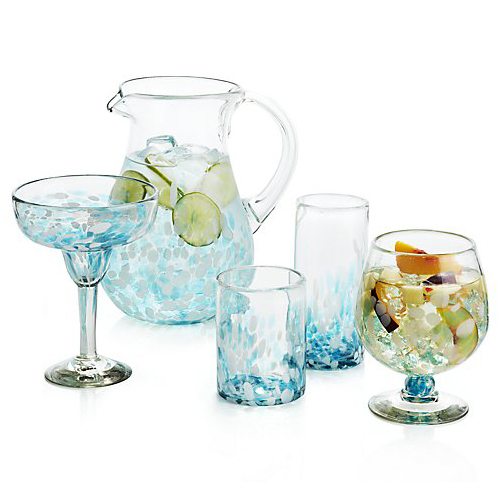 Bits of molten glass speckle blue-toned confetti on this party-seeking Rue Aqua Collection. 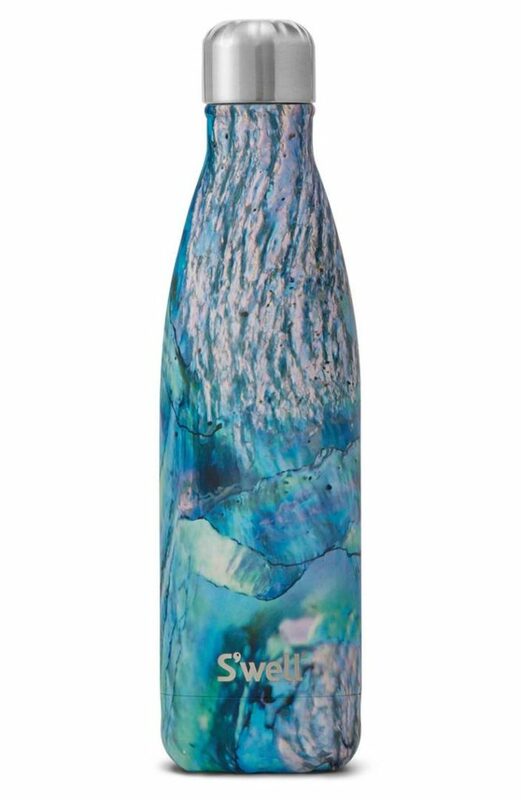 Each piece is handcrafted and made of recycled glass. $6.95-$29.95. Buy here. 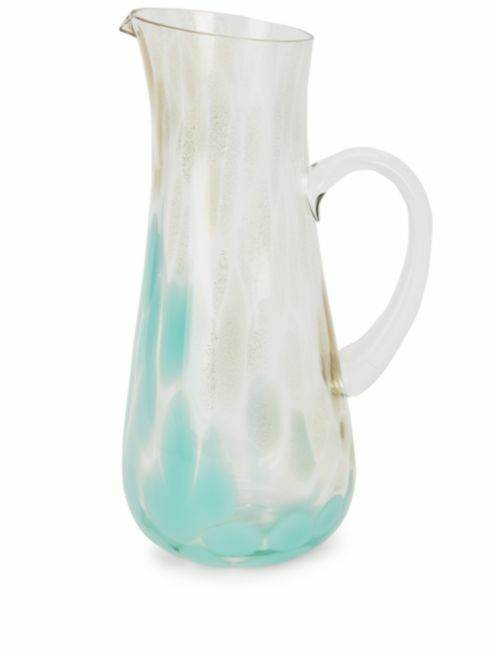 Brighten your beverage serving style with the vibrantly blue hue of the Twine Country Cottage Hobnail Pitcher. 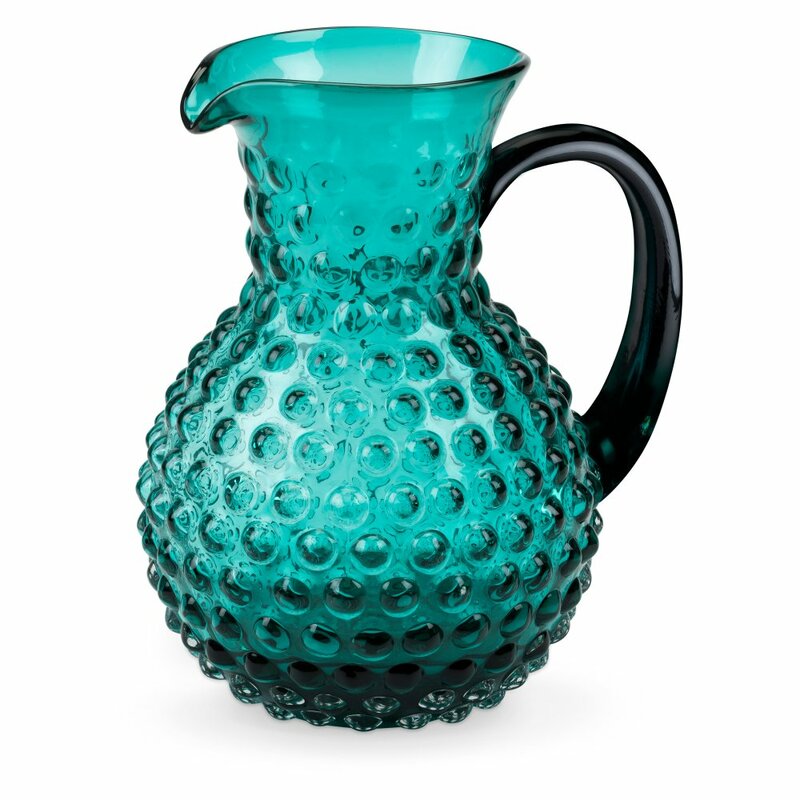 This curvaceous glass pitcher features a distinctive raised hobnail texture for a vintage flair and a gracefully arched handle, giving you a secure grip during pouring. $33.98. Buy here. 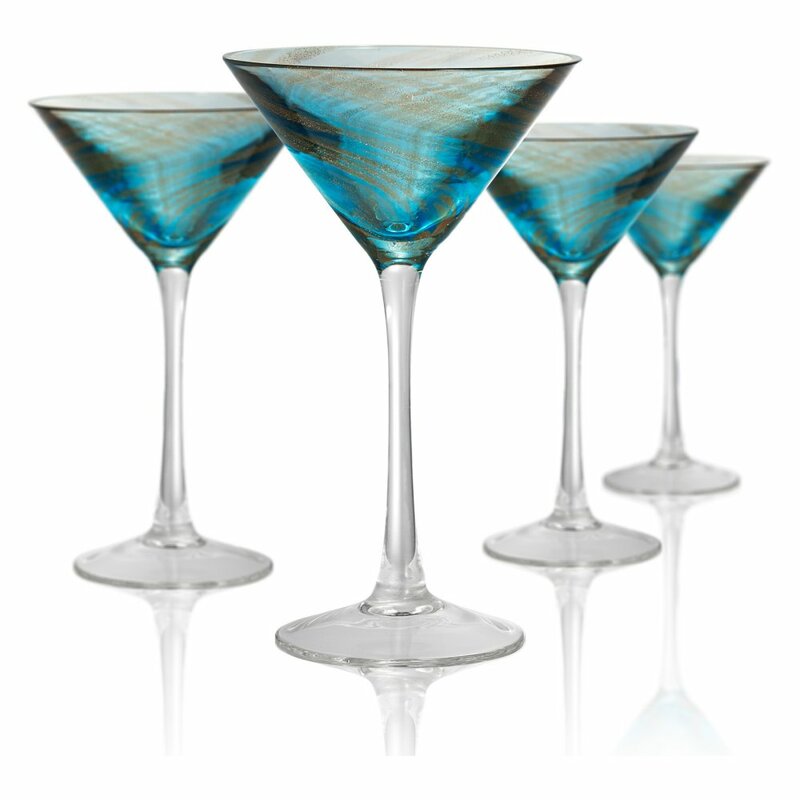 Strain your favorite cocktails into the Artland Misty Martini Glasses – Set of 4 to serve guests in glamorous style. 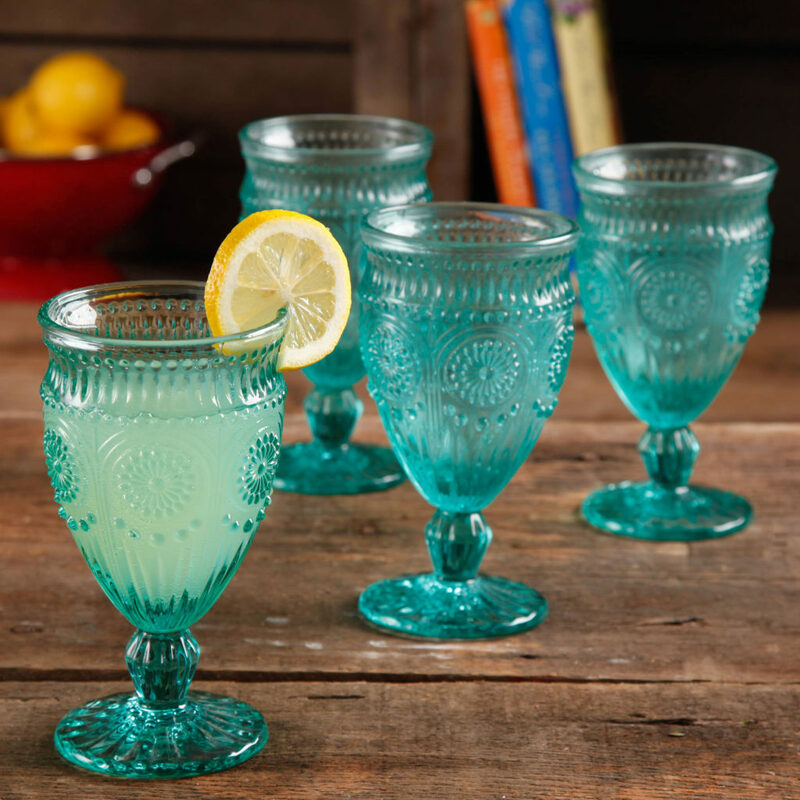 Large enough to hold 8 ounces, the bowls of the glasses feature richly colored copper flakes embedded in glass. Elongated stems give the glassware a traditional silhouette, and you can choose from the available colors to get the look you prefer. $47.04 Sale $34.99. Buy here. 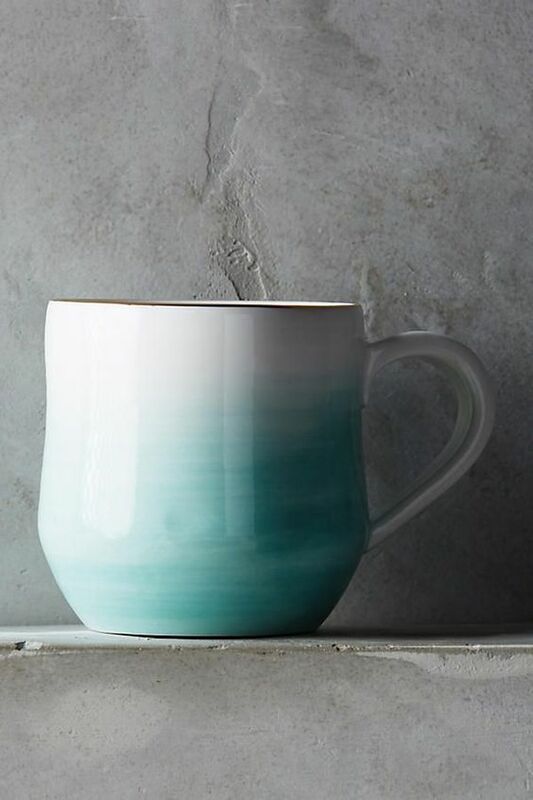 This Mimira Mug is part of a collaboration with Lindsay Emery, the North Carolina-based ceramicist at the helm of Suite One Studio. 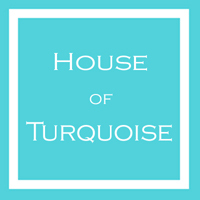 Each and every piece is inspired by watercolor paintings and finished with a flourish of genuine gold. $14. Buy here. 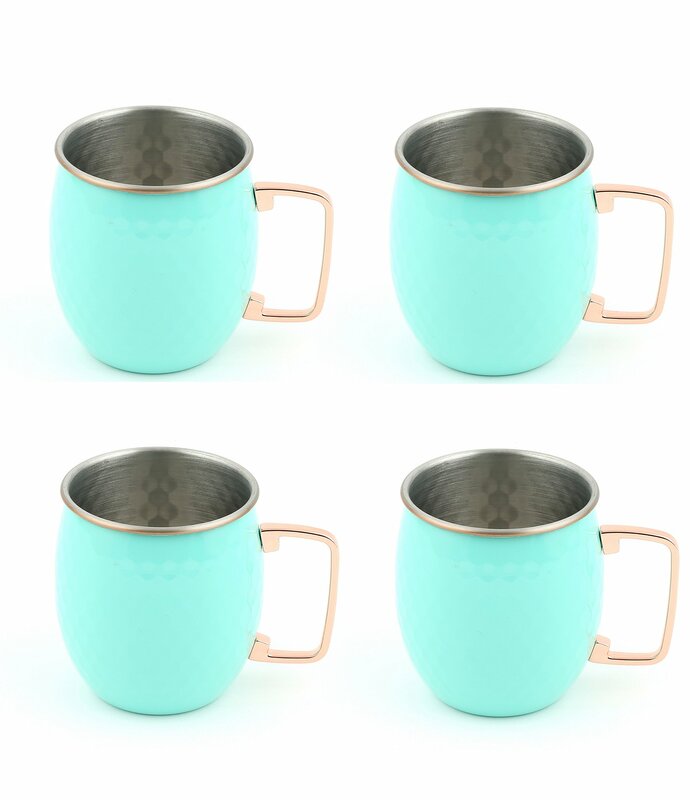 From Fiesta, these Turquoise Moscow Mule Shot Mugs are made from stainless steel with a glossy turquoise exterior and copper-tone handle and lip. Set of 4. $36.99. Buy here. 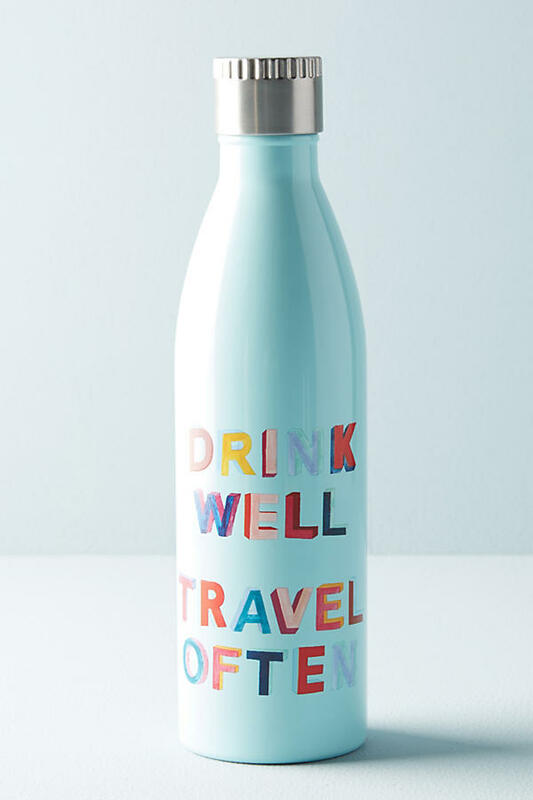 This sleek Printed Motto Water Bottle keeps beverages cold for 24 hours or hot for 12 hours. 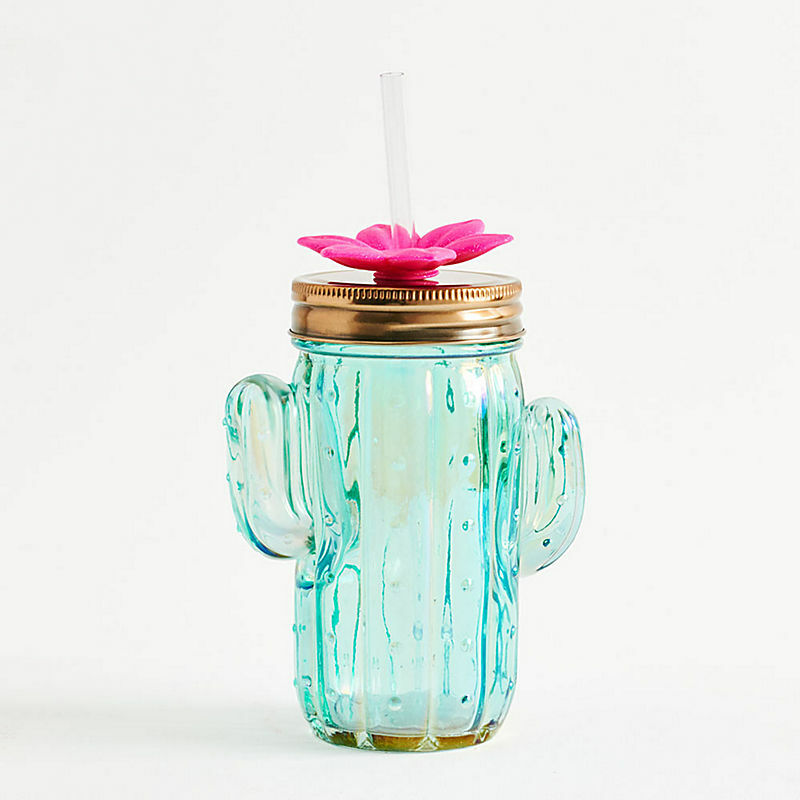 Holds 25 oz. $34. Buy here. 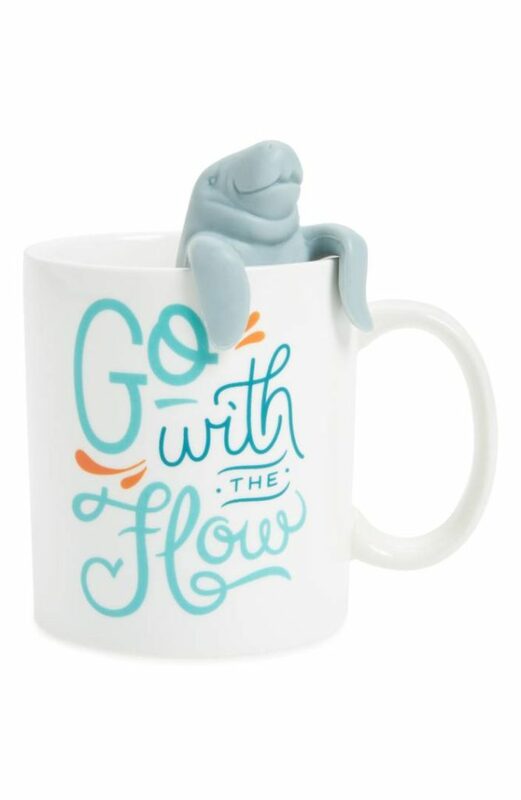 Tell a friend that they’re your cup of tea with this witty Two For Tea Mug & Tea Infuser Set that includes a mug and fun tea infuser—or put the kettle on and enjoy a cup yourself. $19.99. Free shipping. Buy here. 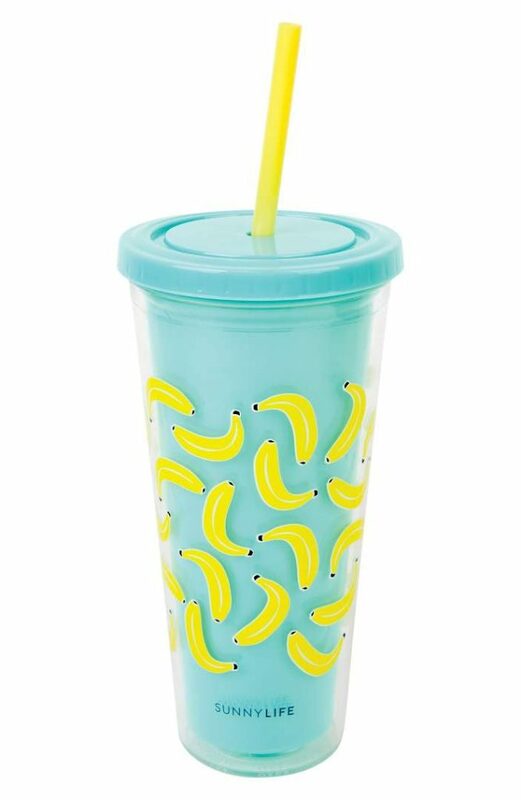 A playful print adds a tropical touch to a colorful, double-walled travel Bananas Print Double Walled Tumbler perfect for keeping your favorite beverage cool. $14. Free shipping. Buy here. 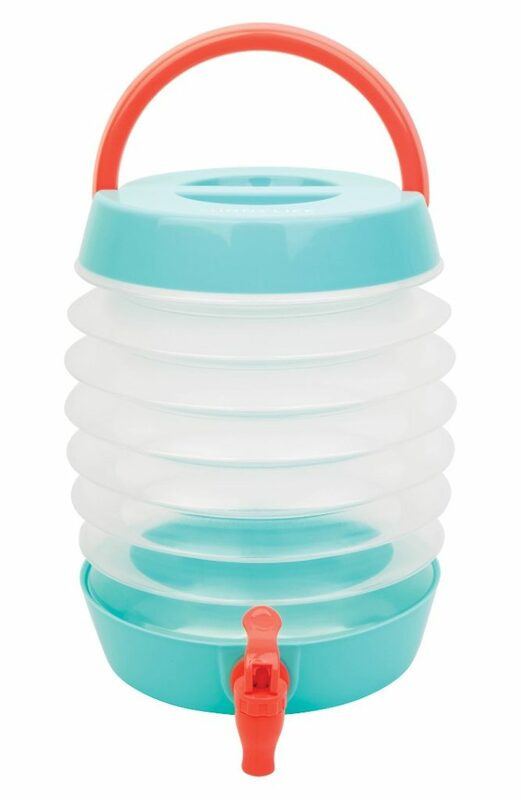 This ingenious Collapsible Drink Dispenser features a collapsible design that makes it perfect for picnics, tailgating and campsite cookouts and easy to stash away once the festivities are over. 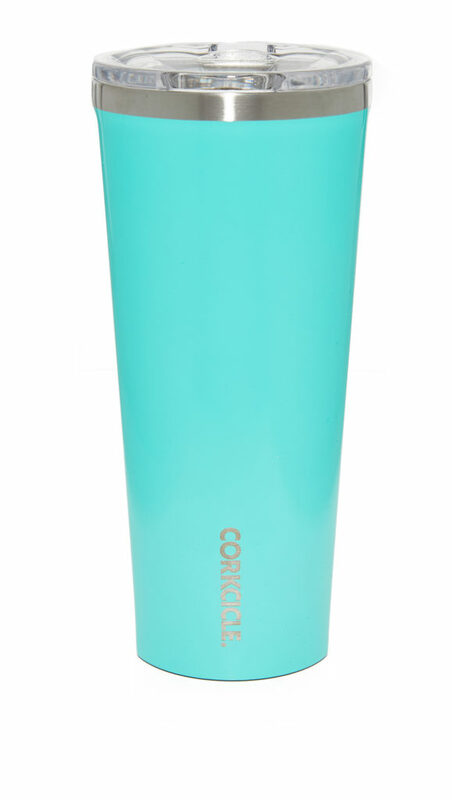 Holds 5.5 liters. $20. Free shipping. Buy here. 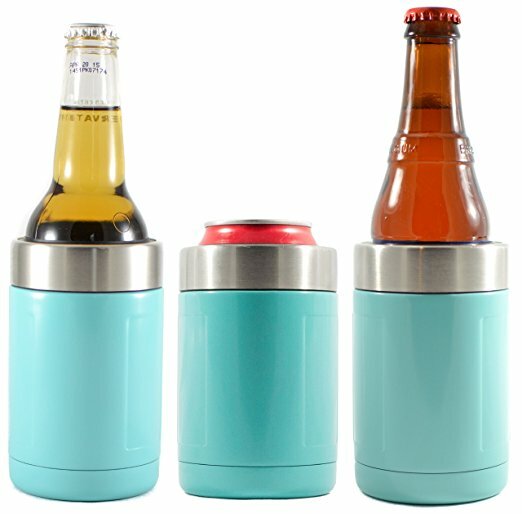 Cruise around the pool, beach parties, or outdoor concert venues in style with this Turquoise Can & Bottle Insulator, a premium stainless steel vacuum insulated can cooler. 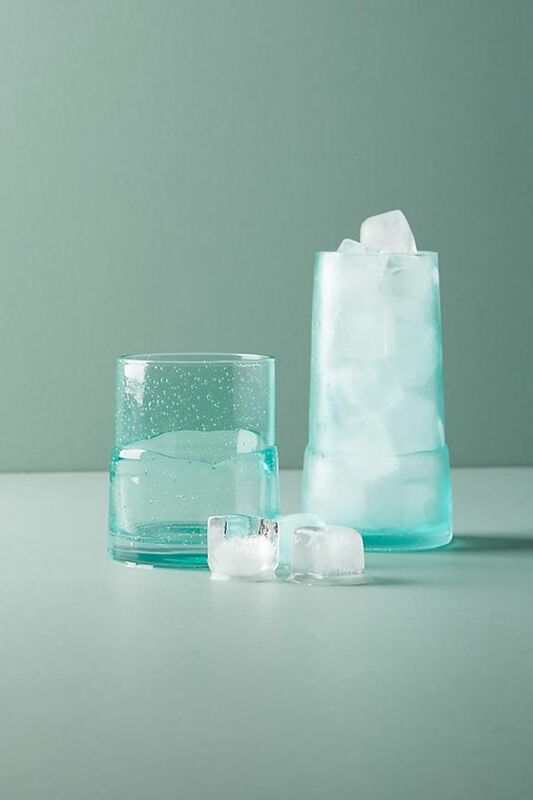 Inside the insulator, your drink will stay ice cold for hours in the hot sun, all the way to the last sip. $29.95 Sale $19.99. Buy here.